- Installation of Biogas plant and power generation scheme of the same. - Power evacuation lines and power evacuation substation for Biomass. collecting reveneus by the sale of REC. Renewable Energy Certificate (REC) mechanism is a market based instrument to promote renewable energy and facilitate renewable purchase obligations (RPO). Renewable Energy Power i.e. units generated from the Solar PV Plant need to be managed keeping in view the statutory requirements. Assistance in liasioning with State Electricity Regulatory Commission, State Energy Development Agency, Local DISCOMS, MNRE etc. Registration and Trading Services for Renewable Energy Certificates. The Renewable Energy Certificate (REC) Platform was launched by the Central Electricity Regulatory commission (CERC). On 18th November 2010. 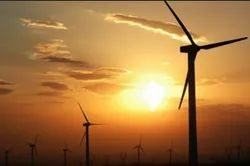 Under an REC framework, utilities can inject a high share of renewable energy in their power mix by purchasing such certificates on an exchange. We offer complete life cycle services for Renewable Energy Certificates, starting from initial assessment and analysis, to registration and accreditation, leading upto REC trading, strategy and monetization.